Liza Soberano is actually very happy that their film’s playdate was moved. Instead of being sad, Liza Soberano is very happy that the playdate of her film with Enrique Gil titled My Ex and Whys has been moved to January. “I’m actually really happy that it was moved because at least we have more time to really work on it instead of just rushing it,” said Liza in a recent interview. Liza also considered the move of their film’s playdate from November of this year to next year as a blessing for their supporters. The tandem’s third film together is slated to be one of the opening films of Star Cinema for 2017. “I’m excited that it’s going to be the beginning of the year, parang fresh start for a new year. We’ll be able to promote it properly and everything. It will be better,” she said. Their film’s teaser was shown at the recently concluded trade launch where Liza and Enrique’s characters Cali and Gio were introduced. In the teaser, Cali and Gio were seen stuck in what appeared to be a closet while playing seven minutes to heaven. According to Liza she had to seek the help of her co-star and her director for that moment. “So, I was asking if it was right or wrong. Quen also taught me. Siyempre si Quen mas experienced in life more than I do so he was guiding me and so as Direk Cathy (Garcia-Molina) as well,” she shared. Despite the prodding of some during that scene, Liza maintained that she and Enrique didn’t kiss on that moment. 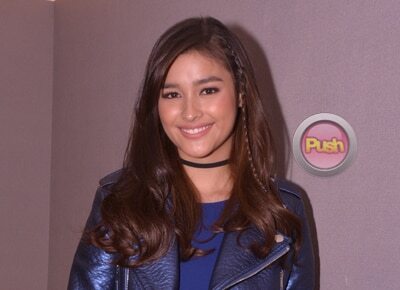 Liza maintained that she is still not ready for a kissing scene. “As much as possible he [Ogie Diaz, her manager] doesn’t want because we want to preserve the youth in me and as take long as we can to extend it,” she ended.